Amsterdam is famous for many things: its canals, amazing museums, bicycles and very open lifestyle; and every September, its attraction to nearly 58,000 global TV professionals. 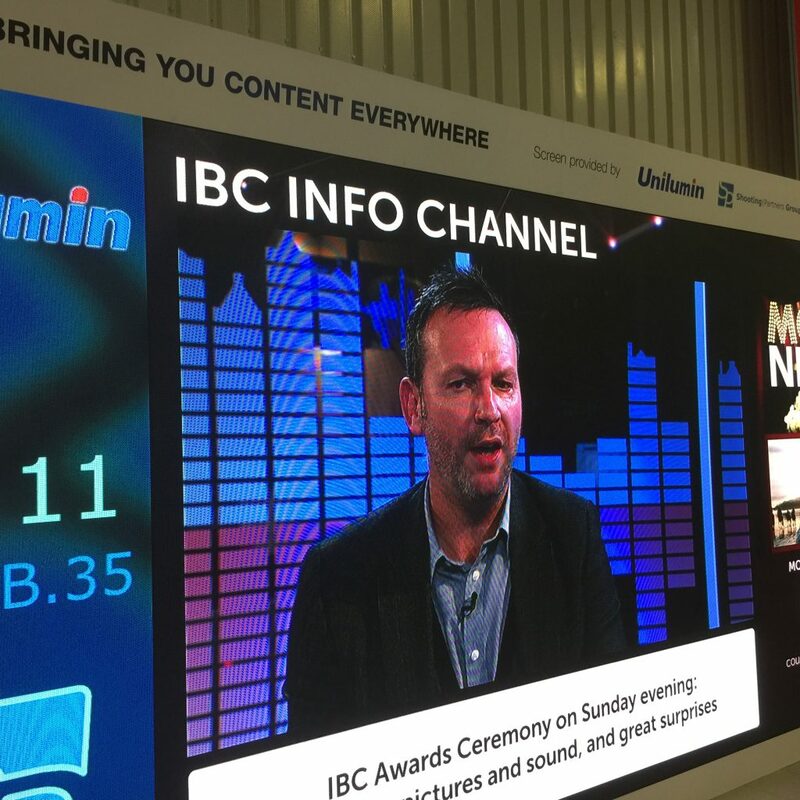 The International Broadcast Conference, or IBC, has been running for 50 years. Starting in humble beginnings in the UK it is now the must visit exhibition and conference for those technologists, business leaders and producers who, like me, have broadcast passion running through their veins. With 15 very large halls of TV it can wear out a lot of shoe leather and ability to take it all in. There is simply so much to see, cameras and microphones, through to production and editing, how to move many hours of TV around the globe, television channel creation, transmission to viewers, archiving the programmes and delivering on platforms to billions of viewers on any device, anywhere in the world. We all know the world of TV is changing rapidly as viewers get used to being the controllers of what they watch, rather than the recipients of set schedules built around advertisers’ needs. With this brutal industry commercial reality, it is very comforting to see so much that still seems the same as it was last year or even 5 years ago. The creativity of making TV is going through a huge boost, as there are now so many more ways you can tell a story, share the news of the day or enjoy your favourite sporting action. 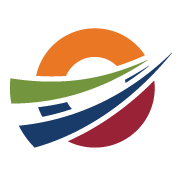 Whether you have a huge budget or are doing things on a shoestring, there are just so many ways you can get the job done with increasing access to low cost and smart alternatives using solutions driven by internet and cloud ways of doing business. 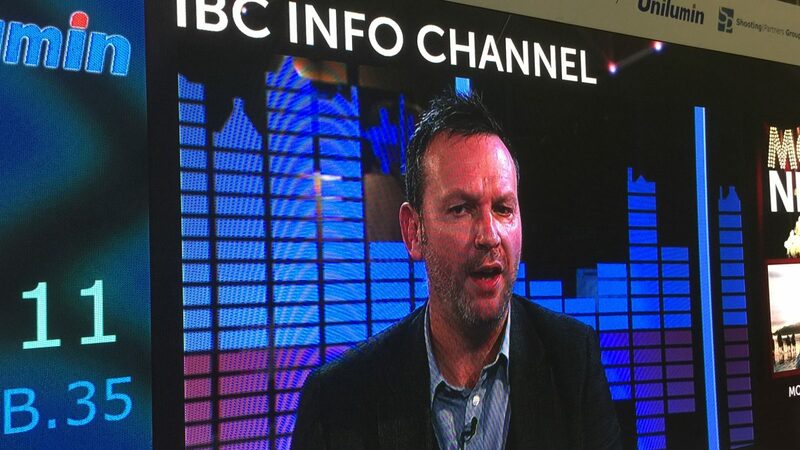 This contrast was certainly evidenced at IBC, where the traditional products are switching rapidly to be less about physical equipment and be more flexible, IP-driven, cloud accessible and more relevant to the new TV marketplace – and sometimes even a lot cheaper in price! These are now sharing space with the new internet players who have no bond with physical equipment or with the traditional TV business models either. In contrast the challenges for TV producers are getting tougher. 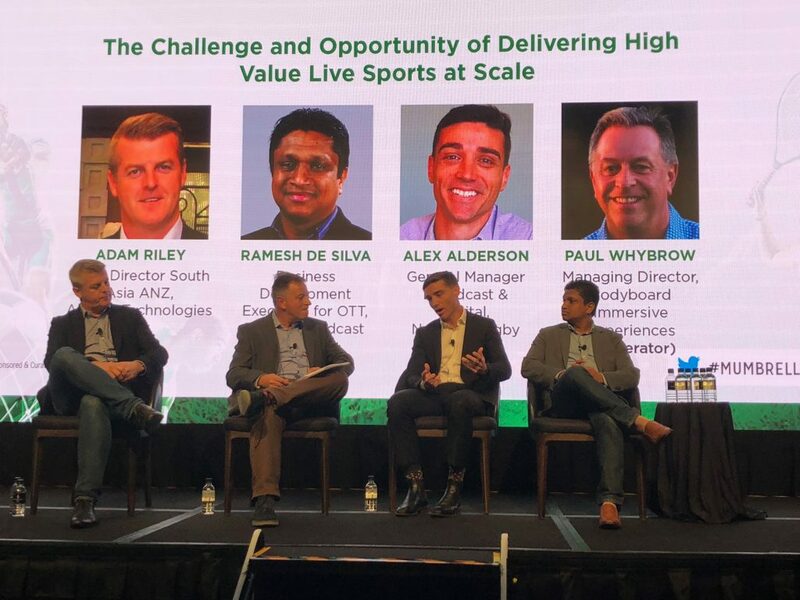 In the last year, the evolution of the professional technology and services have cemented around what the future needs could be for the current TV players, if their world was staying static commercially. The problem is that for TV creators and distributers their world is in the biggest flux they have ever experienced. They are under attack from new global players like Amazon, Netflix, Disney, Facebook and Google whilst facing falling advertising and subscription revenues. 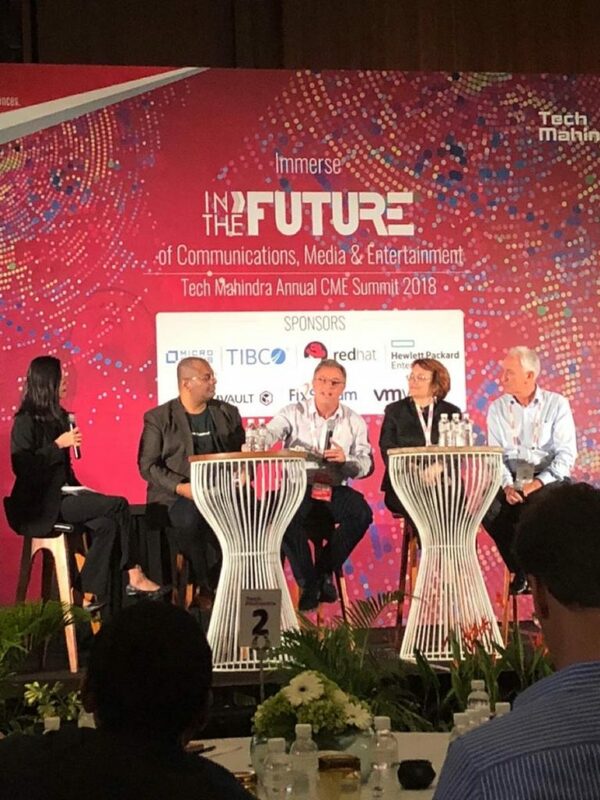 It is certainly not a fun time for many broadcasters now, and looking forward to the coming year, it is likely that the biggest disruption impacts will be in how the TV broadcasters cope with the onslaught of change, rather than the ability of technology adapting to meet the viewer’s needs. After several days exploring the show, I can personally see several clear megatrends as to how the broadcast technology industry is continuing to adapt. TV is certainly not a rare species. As TFI’s distribution head Fabrice Mollier observes “look at the UK, seen as Europe’s most disruptive market. TV is still 57% of millennial digital video consumption, in a country where 89% of households have access to the internet”. The shift to OTT (Internet TV) is gathering steam both in terms of audience access and the internal networks and systems to create all TV. The shift to internet TV is changing the economics model too. Traditional broadcast models had fixed costs – Capex for playout centres, master control, transmitters and more. This was a linear model where the number of viewers was not a cost variable. With Internet TV this is totally different. There is a direct relationship between audience numbers and costs. At Verizon, digital online video now accounts for 74% of all online traffic and 55% of people watch streaming video every day. Internet TV is driving completely new entertainment that fits well in the millennial-led world such as eSports. Michiel Bakker CEO of GINX TV says “who wouldn’t want an exclusively millennial audience of young tech-savvy super connected people”. Predicted to have $100(US) in prize money this year, the players are becoming professional with trainers and nutritionists on hand – maybe guiding the right pizza to enhance performance! John Ive, Director of Strategic Insight at industry body IABM, is clear “in the past internet delivery was not seen as viable – the mobile has changed all that. A single device with easy access for a multiple thing (text, emails, social media and search… oh and is a phone! ), with access to huge libraries of content and commodity priced technology, broadcast TV is still significant but not king of the hill”. With such a shift to the online TV world then surely broadcasters need to switch their design thinking to the under 30 audience and create TV for them. That may be a big mistake as the loyal TV audience, including oldies like me, still like linear curated TV which cuts through the mish mash of so much content and finds an evening of some gems that I can relax to. Liz Ross CEO of Freeview Australia makes the point that their research showed that viewers don’t like multiple coloured buttons, so “don’t design for youngsters they will get it anyway, design for older viewers and the mass market.” I believe that one size won’t fit all, and so designing for simple TV centricity will keep the natural advantage TV has always had in user experience capability. Social interaction with TV is certainly getting far more interconnected. This is not really a surprise to me, as TV has always been a great source of gossip, speculation and conversation. Before the internet it was the newspaper, radio and work chatter that drove emotional connection to storyline cliff hangers and mustn’t miss shared moments. Now that has shifted to social. Joanna Wells, VP of Comedy Central, says “embracing social media is fundamental – Viacom now has 1.6 billion fans across all social platforms with six billion views of videos. Which is an annual increase of 61%”. Nick Dandy Director of Product Management at Foxtel said they used social media strongly to drive momentum of a returning series of the drama Wentworth. This included an integration room on Facebook Live to allow fans to ask different characters their own questions. The key for him is to ensure this is showcased in the Foxtel environment. 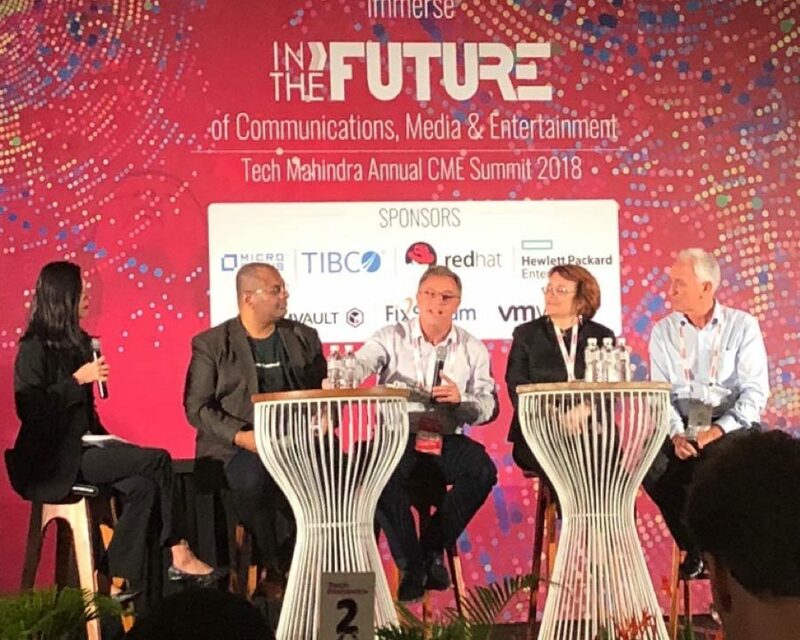 Voice activated UI (User Interface) and AI (Artificial Intelligence) were voted hottest new tech trends by an IBC panel of technology leaders. AI machine learning and automation was likely to disrupt all aspects of the broadcaster’s business. Uses can be seen from as simple as creating smarter ways to run back office operations, to giving the ability to create totally automated sports broadcasts, where AI and facial recognition is used to create highlights on the fly with no human involvement, or even be the director to create complete output for lower key sports broadcasts that currently are uneconomic to produce. Voice activation is being pursued by several broadcasters to deliver new ways to search and organise content without the viewer needing to press a button. There certainly are hurdles to overcome, like dealing with multiple viewers in the same room. It is likely though that there will be big advances in this space. 5. 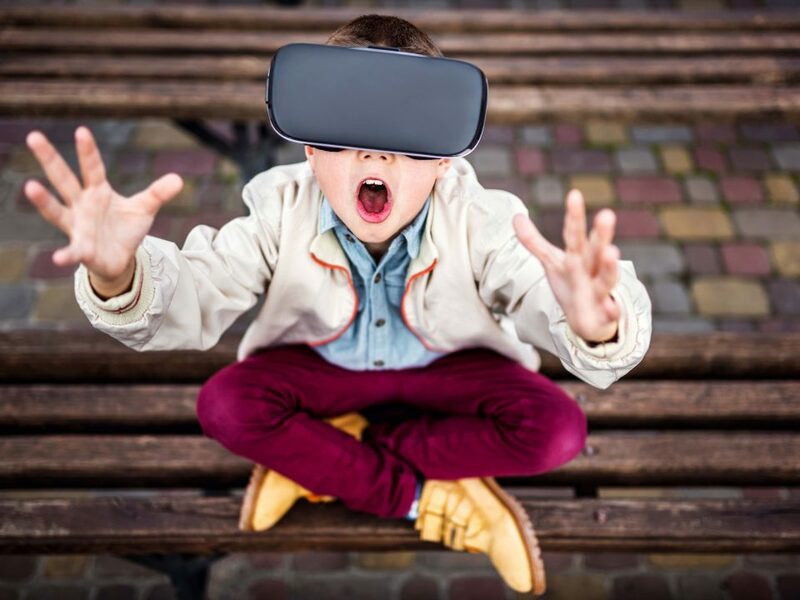 Immersive experiences are coming… honest! 3D promised a home experience where a viewer could immerse themselves in the action of a sport or movie just by putting on some glasses. Unfortunately, the promise has just never delivered and despite the investment by manufactures in TVs and glasses, 3D has vanished from the exhibits at IBC…and from lounge rooms at home too. Virtual Reality (VR) and Augmented Reality (AR) are now promising the new road to total viewing immersion. 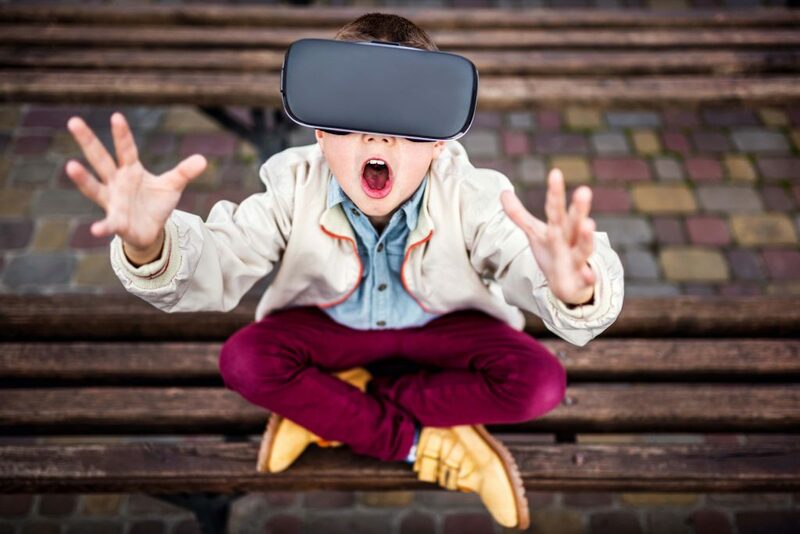 I do believe that VR and AR are certainly going to find some amazing ways to transform in education, training, emergency services, retail and many other industries. For broadcast, there is a higher hill to climb and at the show I did see some interesting previews of what could come next. Drones for example were not featured much at the show, and yet are now starting to be common place in all sorts of video use from selling a house through to high end drama and science shows. So, drones are a really adding to the immersive experience. Immersive sound is starting to seek solutions. Linking audio to objects will make virtual reality and 360 videos come to life, as objects stay in the right place as you move around in a virtual space. As the sound and video solutions come together then more immersive TV will follow. So overall a very interesting mix of technology advances that is showing no sense of slowing up at all. So my hunch is that the professional TV technology industry is adapting well to the consumer disruption. The question is who will they be selling their products to if the commercial and consumer challenges dramatically shift the goal posts – as they are!